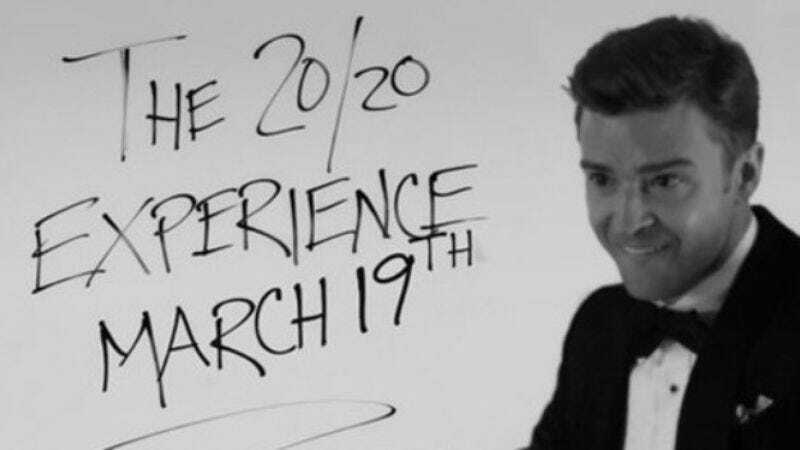 Justin Timberlake isn’t pulling any punches during the lead up to the March 19 release of The 20/20 Experience. After his performance at the Grammys, Timberlake will play the Hollywood Palladium for his first real show since 2009. Tickets go on sale Saturday, Feb. 2 at 12 p.m. PST, but good luck getting any. Timberlake has also somehow persuaded The Social Network director David Fincher to direct the video for lead single “Suit & Tie,” which already features vocals from Jay-Z. Fincher hasn’t directed a music video since Nine Inch Nails’ “Only” in 2005, but considering his most recent work, the “Suit & Tie” video will hopefully feature several interjections from a slick, drawling Kevin Spacey—or maybe just Timberlake and Jay-Z wearing suits.